This entry was posted in Rip.Mix.Feed.. Bookmark the permalink. Prezi is one of those tools I have seen so many times and never used. I loved your travel pics and experiences – I will experiment with this and I still think it is a great tool for students for just about anything! 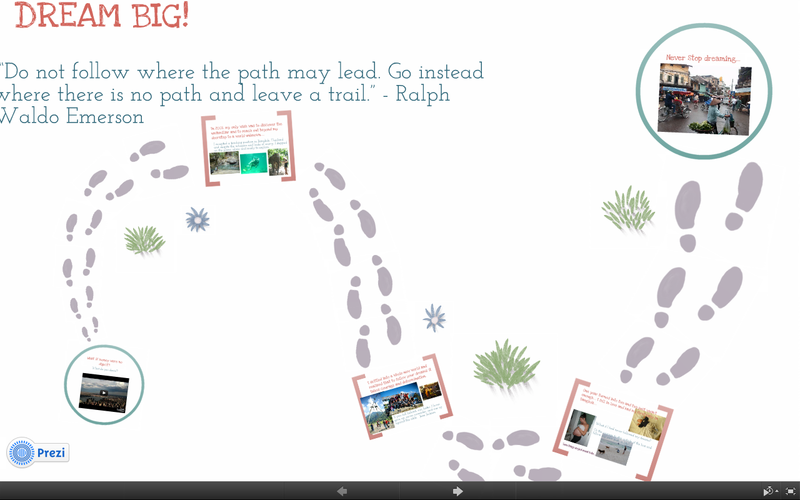 I really liked the Prezi you have created about your journey abroad! I shared a similar piece for our Rip.Mix.Feed assignment using PhotoPeach – mine was called “Going Places” and on the same topic as yours – following a dream, and letting it take you where it may. I also moved across the world to teach – first living and working in Germany, then Turkey and finally the UK. I can relate to your experiences of wandering into the unknown with nothing but your passion to guide you!